One of the toughest areas to grow plants is in dry shade. There is a smaller plant palette that grows in these harsh conditions compared to more sunny locations in your yard. Root competition really limits what will do well under the trees. While most home landscapes have at least one area that is either partially or fully shaded throughout the day, it can be difficult finding native alternatives to the standard plants like hostas chosen for these shady niches. There are a few native plants that will thrive in this tough environment. Here are three native sedges that are worth considering. 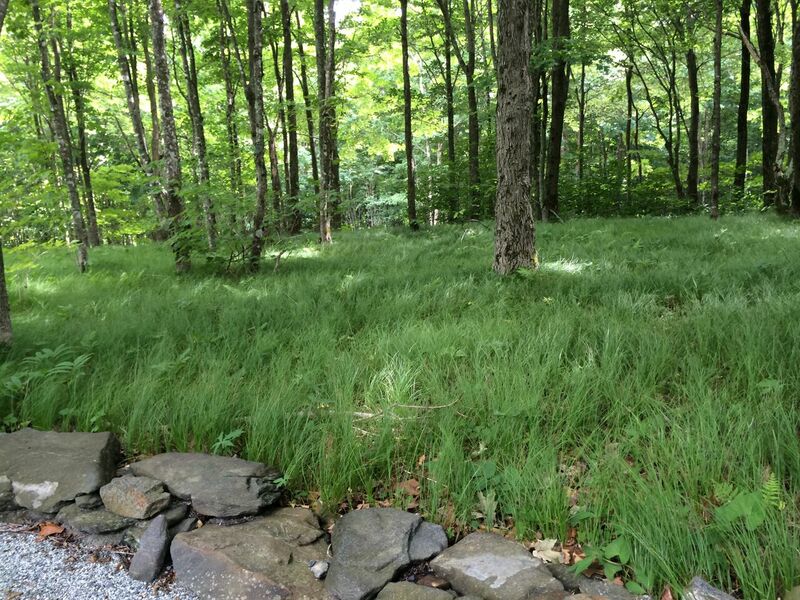 An exciting native sedge that works well in mass plantings (one to two foot spacing), along shady slopes and “no mow” lawns. It is gaining in popularity because it is so easy to grow. We have carried it the last few years at our plant sales and customers who have tried it come back wanting more. It forms a true clump with narrow leaves only getting 6-8 inches tall. Each clump spirals upward as each blade intermingles with the others. 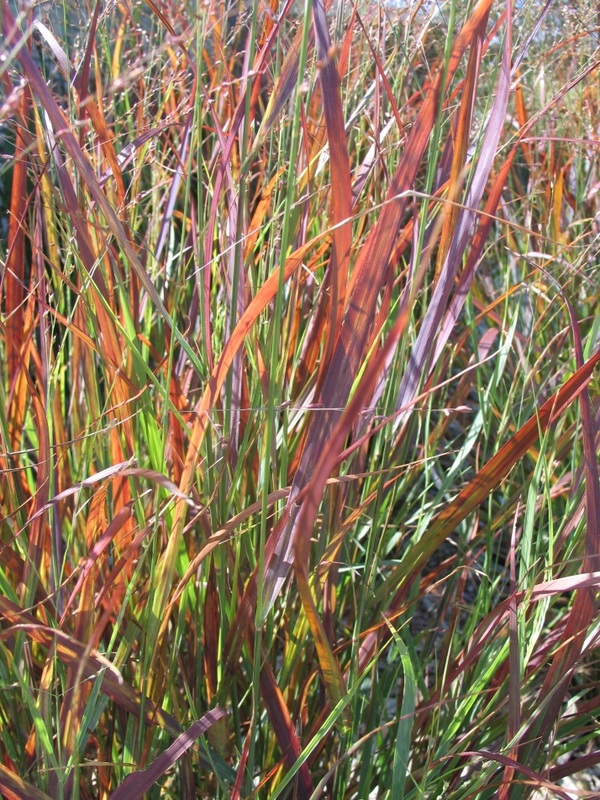 It is a shade to part sun-loving sedge that is quite appealing. Carex appalachica Photo Courtesy Hoffman Nursery, Inc. 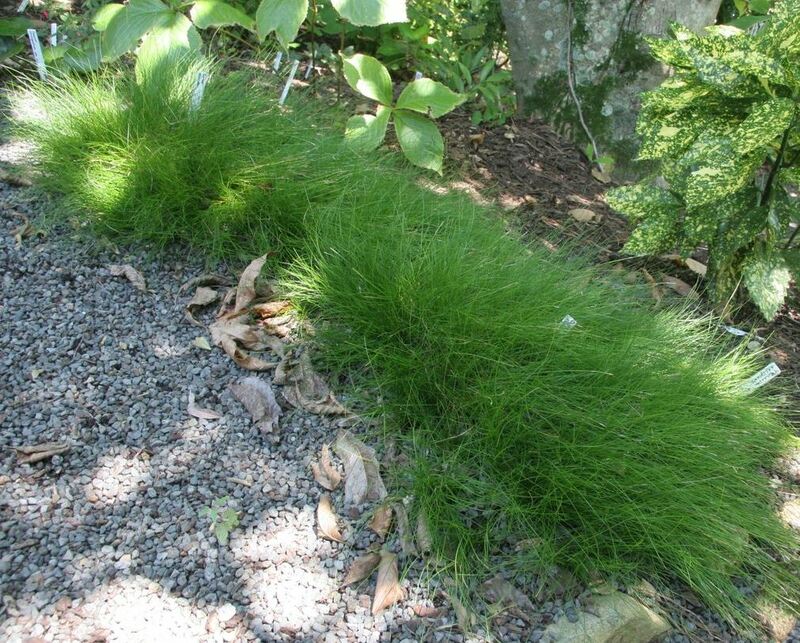 This fine-leaved sedge makes an excellent ground cover or lawn alternative for that shady spot. The fountain-like clumps of dark green foliage are soft to the touch. It stays short only reaching 6-12 inches. Over time, the individual tufts will grow together forming a thick sod. In the fall, the clusters turn a nice tan. It appreciates sharp drainage, but not too much sun. Plant them in mass for dramatic effect. Carex eburnea Photo Courtesy Hoffman Nursery, Inc. This sedge is tough. It spreads by runners forming a dense mat after several years. This quality is why many use it as a great lawn substitute for the shade. The fine textured leaves are soft under your feet, too. It is most effective when planted in mass. You will appreciate its drought tolerance and resilient nature once it is fully established. Carex pensylvanica Photo Courtesy Hoffman Nursery, Inc.
See, there are some plants that flourish in the shade of trees. They even mix well with many other types of woodland wildflowers such as woodland phlox, columbine, wild geranium, and golden ragwort, and Short’s Aster. You can find these companion plants along with the aforementioned sedges at our FloraKansas Fall Plant Sale. 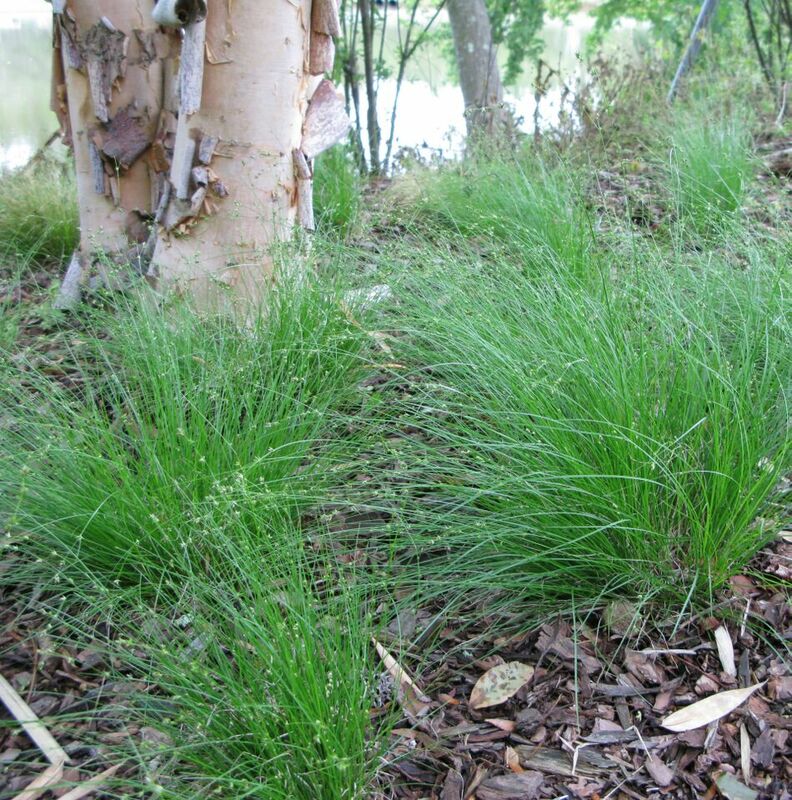 Each of these low-growing sedges are delicate with arching leaves that are very appealing as ground covers. In my opinion, they are definitely worth trying. 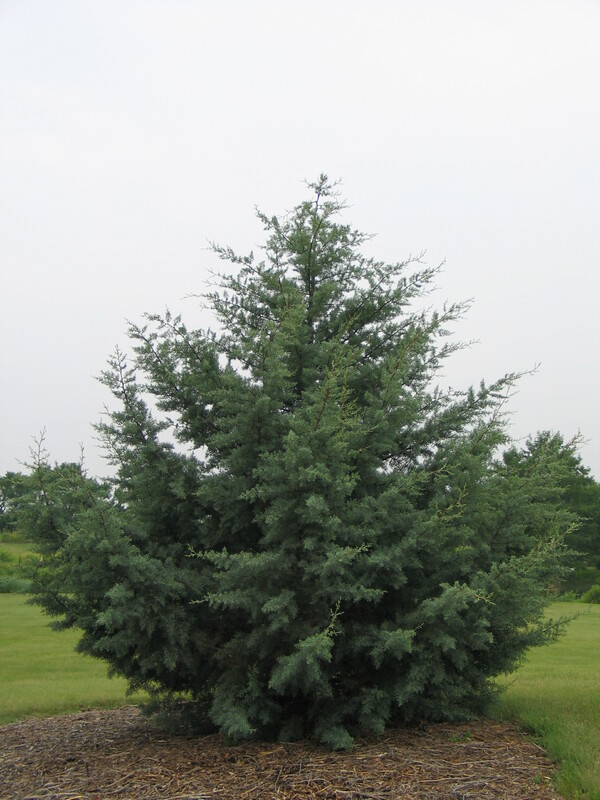 Which Trees Should I Plant in Kansas? The best time to plant trees and shrubs is in the late fall and early winter before the ground freezes. With proper watering and maintenance, newly established plants will get settled and acclimated to their new environment. By developing roots this fall, these plants will increase their chance of survival through the first growing season next year. The Hesston City Tree Board did a street tree inventory several years ago for the entire city and found that there are too many Silver Maples, Siberian Elms, and Pin Oaks. These three species represent 31% of the town’s total tree population. The recommended percentage of any one tree would be less than 5% of the total population. Insect and disease problems can decimate a single species (such as Dutch elm disease in American elms or pine wilt in Scotch Pine). Tree planting diversity by the citizens of Hesston can help improve the overall make up of the population and bring it back into balance. At the time of this survey, the City of Hesston and the Tree Board developed a five year planting strategy to promote diversity for future planting. This strategy was intended for Hesston, but will work for nearly every community in the state. Some of their recommendations and mine are contained in the following list. These trees are native to eastern or central Kansas and adaptable to most of the state. Bur Oak (Quercus macrocarpa) – A very large broad spreading tree (70’ x 70’) with long smoothly lobed leaves. Mature trees come alive in the fall with squirrel activity as the acorns mature. Excellent as a shade tree, but give it space. Northern Red Oak (Quercus rubra) A large tree (60’ x 60’) with a rounded growth habit in youth and maturity. The seven to eleven lobed lustrous dark green leaves turn a russet-red in fall. Shingle Oak (Quercus imbricaria) – Pyramidal in youth and eventually becoming broad and rounded at maturity (50’ x 50’). The leaves are unlobed and lustrous dark green, turning yellow brown to russet-red in fall. Leaves are persistent though winter. Post Oak (Quercus stellata) – A dense-rounded tree (40’ x 40’) with shiny green leaves that are roundly lobed. Hard to find in the nursery trade, but worth the effort. American Linden, Basswood (Tilia americana) – A very large (60’ x 60’) upright pyramidal to broadly open tree. The gray smooth bark, fragrant creamy-yellow flowers in late spring, and dark green leaves make American Linden a nice choice as a shade tree. Sugarberry (Celtis laevigata) – A hackberry with smooth gray bark and large (40’ x 40’) rounded growth habit. Fruits have a sweet date-like taste and are loved by birds. Hackberry (Celtis occidentalis) – Widely adapted to many areas throughout the state, hackberrys can withstand all Kansas can throw at them. Upright to pyramidal in habit (40’ x 40’) with rough deeply furrowed plate-like bark. It is a larval food source for the question mark, comma, hackberry, tawny emperor, snout, and morning cloak butterflies. Catalpa (Catalpa speciosa) – Very adaptable to a wide range of soils from wet to dry. It has an open irregular crown (50’ x 40’) with large heart-shaped leaves. The flowers, which appear in May and June, are quite showy. Worth growing, even though it is thought of as a messy tree that drops its leaves and seed pods. Don’t all trees do that? Persimmon (Diospyros virginiana) – Tough oval rounded tree (40’ x 35’) with fragrant white blueberry-shaped flowers in May and June. The real treat comes in the fall when the edible fruit ripens and the foliage takes on colors of yellow to reddish-purple. 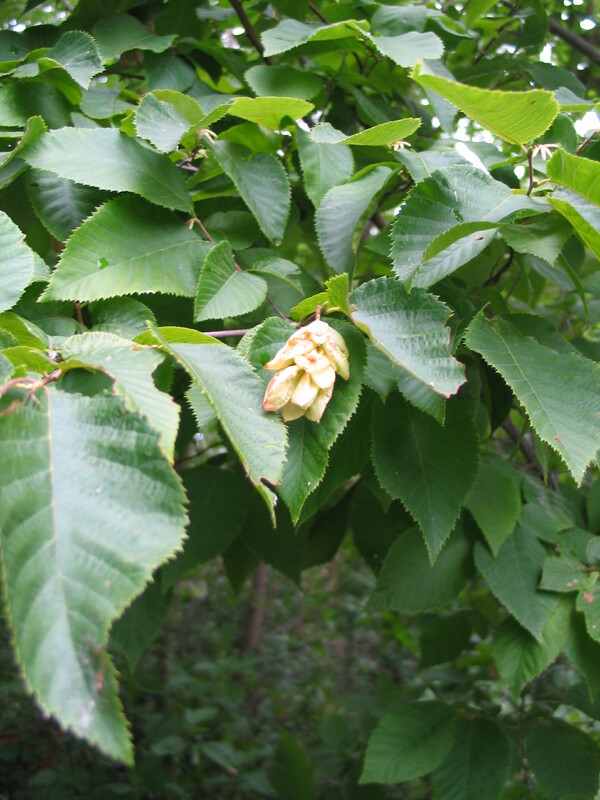 American Hophornbeam (Ostrya virginiana) – Rare in the nursery trade, this tree deserves to be used more because it makes a great street tree. Pyramidal in youth becoming rounded with age (25’ x 30’), it has deep green, sharply serrated leaves that turn yellow-brown in fall. These trees are examples that will increase the tree diversity in your neighborhoods and landscapes. 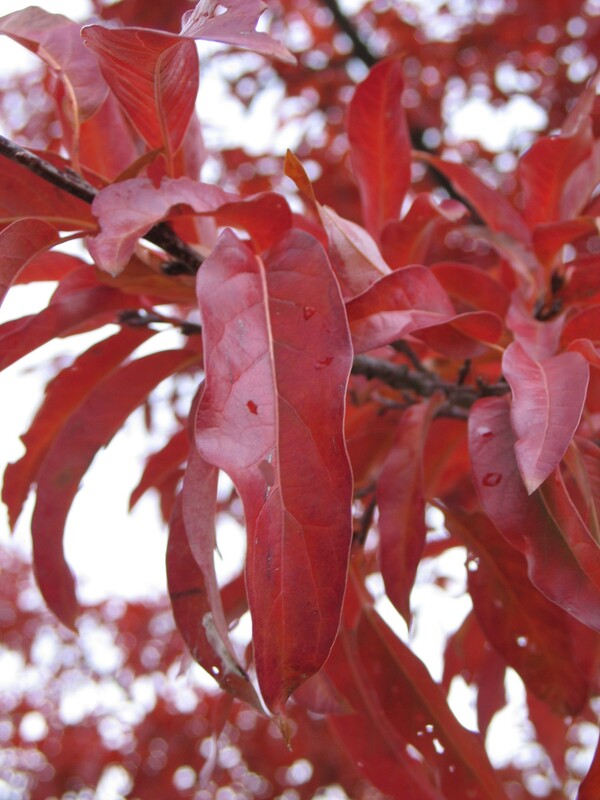 For more information on these or other trees for your area, contact your local tree board, local horticulture extension agent, or visit the arboretum. We have examples of many of these trees growing at the arboretum. I would be happy to answer any questions you may have. Remember – diversity is the key to success! Where Have All the Conifers Gone? The Kansas landscape can be stark and lifeless at certain times during the year. In the winter, the hues of brown are seen everywhere from the leafless deciduous trees to the native grasses in the prairies and ditches. This harsh landscape is only broken up or punctuated by evergreens. During the growing season, they melt into their surroundings, but are exposed as the landscape changes in the fall and winter. Early settlers noticed their green forms and incorporated them into shelter belts and home landscapes to breathe warmth and life into a drab and dreary panorama. Sadly, these conifers (cone-bearing seed plants) are under siege. They are being decimated by a variety of diseases that really have no reliable cure. Whole shelter belts have been lost to this onslaught. Trees that are 50-100 years old are gone in just a few years. Even here at the arboretum we have felt the pain of losing evergreen trees. 35 years ago, when the arboretum was originally planted, these diseases were not known and certain conifer varieties were readily available and a more diverse plant selection was not installed. But those species have not proven resistant to disease, so we now have holes in our landscape where mature trees have died. So what is the solution? I think that the final solution is diversity in the landscape. Just like you diversify your stock portfolio to spread out risk, we need to diversify the evergreens and conifers we include on our land and around our homes. Whole shelter belts have been lost because they included only a few species. Once infected, the diseases spread through the whole line of trees and result in large holes that are filled with other non-desirable species. The extension service suggests that diseased and dead trees be removed immediately and destroyed either by fire or chipping. The stumps also need to be removed to a depth of at least 6 inches below the surface. Pathogens that spread the diseases overwinter in the dead trees and emerge or are released by April to infect other hosts. The arboretum has been experimenting with a few conifer species that seem to be hardy and less susceptible to disease. 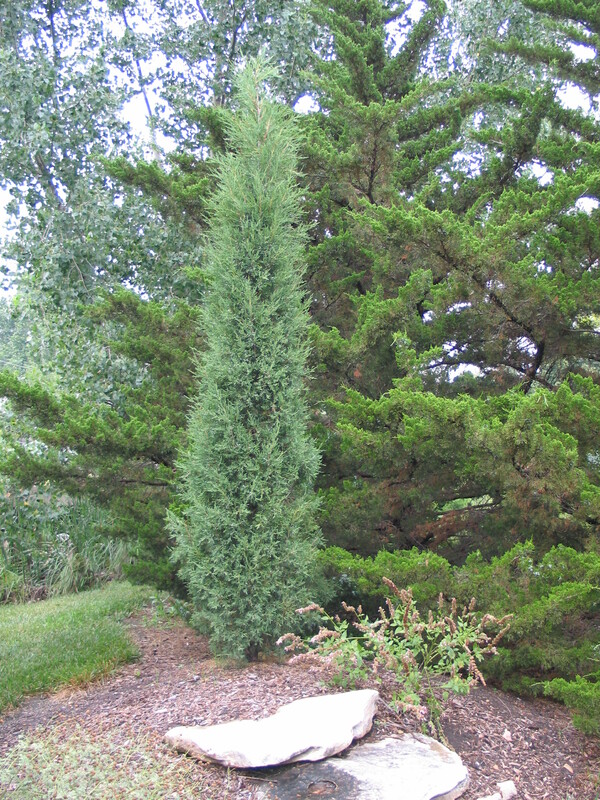 They are Upright Chinese Juniper (Juniperis chinensis), Easter Red Cedar (Juniperis virginiana), which is the only evergreen native to the state of Kansas with cultivars ‘Canaertii, and ‘Taylor’, Black Hill Spruce (Picea glauca var. densata), Southwestern White Pine (Pinus strobiformis), Pinyon Pine (Pinus edulis), Lacebark pine (Pinus bungeana), and Arizona Cypress (Cupressus arizonica). This list is not extensive. 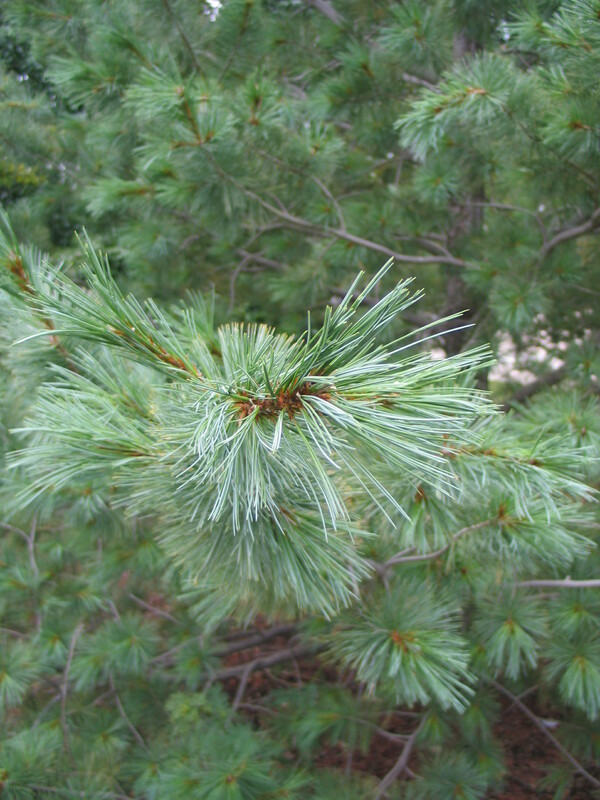 Pines like Ponderosa (Pinus ponderosa), Austrian (Pinus nigra) and Scotch (Pinus sylvestris) have been taken off the recommended tree list because they are so prone to disease. I would highly encourage you to visit the Kansas Forestry Service website at www.kansasforests.org . Once there choose your region to view a full list of recommended trees for your area along with other informative publications. Full descriptions of these trees can be researched on the internet or you can come to the arboretum and view them in person. For certain species the time will come when they are completely eliminated from the landscape barring a cure. Healthy trees need to be properly pruned and given plenty of air circulation. You can do everything right and still lose a tree. Replant with a diverse variety of species so your whole landscape will not be open to widespread devastation again. There will be other diseases that come, but diversity will give you the edge. 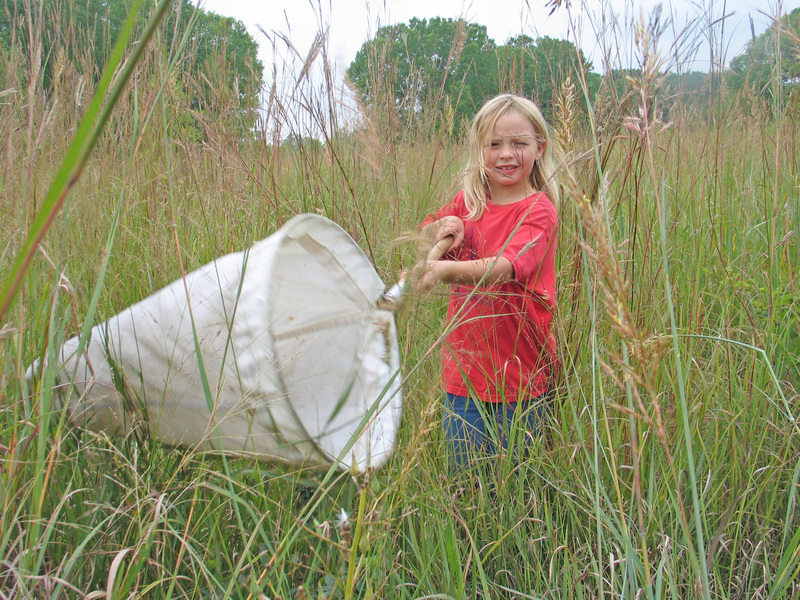 Take a moment during your next foray outdoors and observe the level of insect diversity around you. Hint, searching out vegetation and as much plant species diversity as possible will make your exploration more interesting. 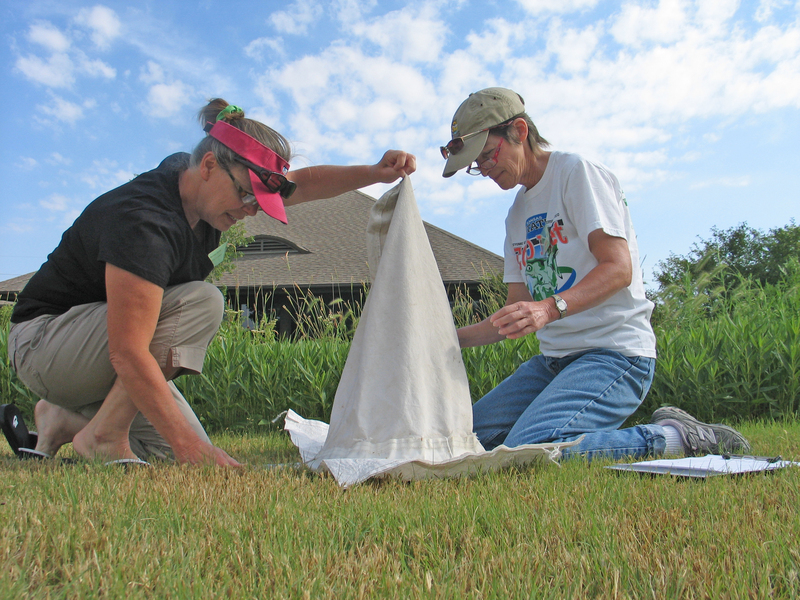 You can either passively observe or more aggressively make collections with an insect sweep net and it never hurts to have a copy of the color book Insects in Kansas handy. General observations are interesting enough, but counting and recording the species observed (no formal identification necessary) only increases the level of education and interest. We do this at the Dyck Arboretum with kids and adults all the time. The findings in our diverse prairie garden on one side of the sidewalk always produce much more insect diversity and inspire greater awe and fascination than the mowed fescue lawn side. This is no surprise, really, when you consider how much more habitat, cover, protection, and food the prairie garden holds. 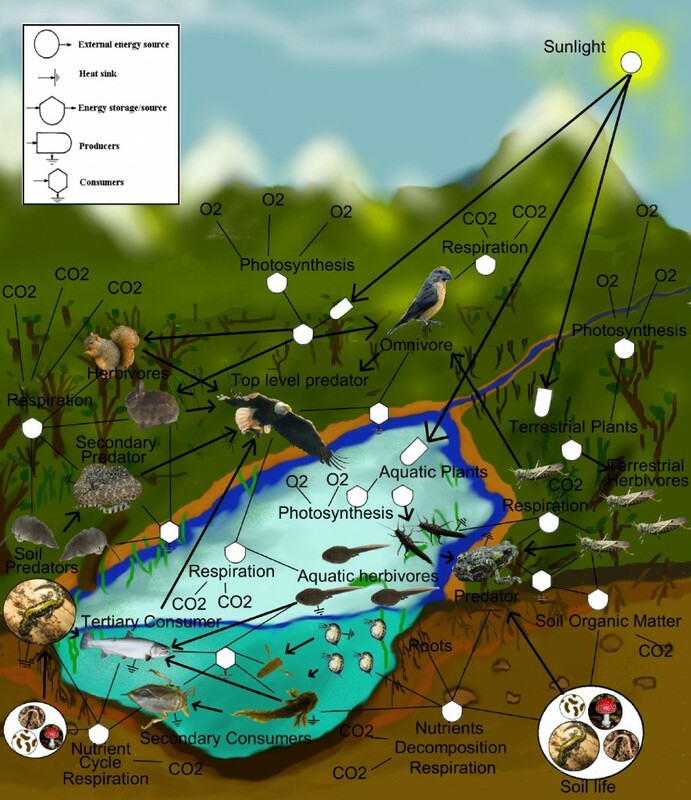 Concepts including ecosystems, food webs, trophic levels, herbivores, carnivores, etc. are easily discussed with this simple exercise. Conversations often migrate towards how important insects are to humans, our survival, and quality of life. Insects pollinate our crops including many fruits, nuts, and vegetables, they provide us with honey, beeswax, cotton, silk, and tobacco, they perform valuable services as scavengers, they serve as food for many birds and animals, they help keep harmful plants and animals in check, and they have been useful in medicine and scientific research. 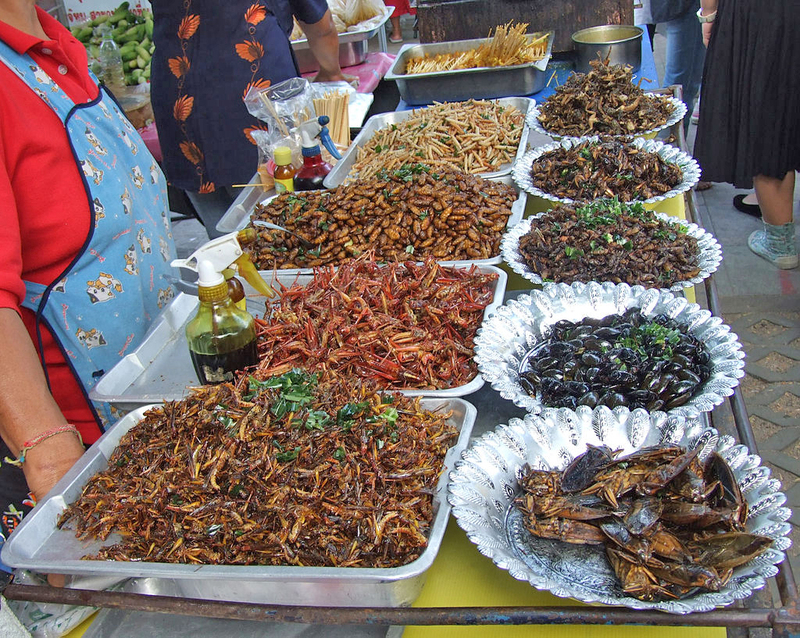 People in 80% of the world’s nations enjoy insects as food, and this number will continue to grow as world human population growth continues to outpace food production (take a look at this recent Food and Agriculture Organization United Nations Report to understand how common entomophagy is in the non-western world). Sure, one can find annoying, harmful, and even dangerous examples of insects too, but for humans the benefits far outweigh the detriments. There are fascinating stories to tell about symbiotic relationships between plants and insects, insects as pollinators, brood caretakers, and navigators, and even gruesome ones about insects as scavengers, parasites, and vicious predators. You probably know about the important relationship between milkweed and the monarch butterfly, but did you know that grasshoppers consume more biomass on the prairie than either cattle or bison? 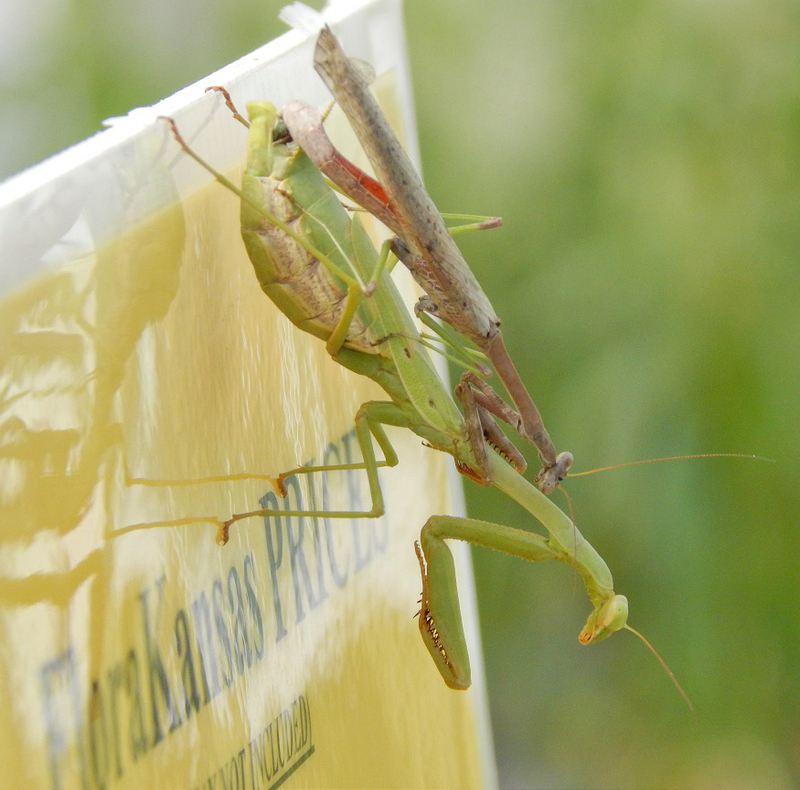 Or how about the perilous story of how the male preying mantis becomes food for the female both during and after copulation? There’s a father’s day story you won’t soon forget. There are about 900,000 identified species of insects in the world which makes up approximately 80% of the total wildlife species. 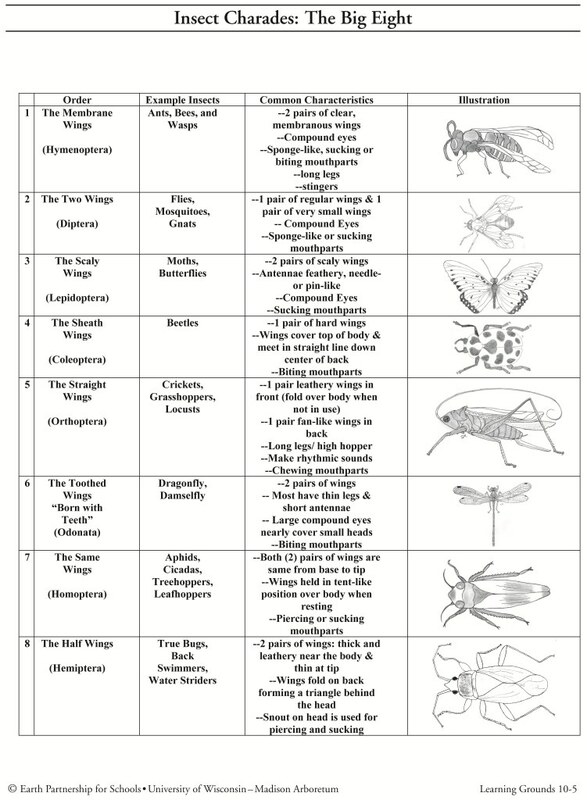 Entomologists estimate that they have only been able to identify approximately 3% of the world’s species which push total species estimates to 30 million. Hopefully you’ll gain a greater appreciation for the fascinating world of insects. Your life may even depend on it. One of the great things about native plants is that there is so much diversity found in the prairie. From wet to dry, sun to shade, clay to sand, there is a plant for every place in the landscape. The diversity of plants give us so many options and provides alternatives to what is typically planted in gardens and displays in our area. The non-native plants listed below are coupled with native plant alternatives that make excellent substitutes. Ater divaricatus ‘Eastern Star’ (White Woodland Aster): This native aster has small white flowers with pink centers that cover the plant in fall. The attractive foliage is dark green with burgundy highlights. It slowly creeps to fill in an area, but it is not aggressive. This is a nice plant for full to part shade. Asarum canadense (Wild Ginger): This native of the woods is quite adaptable, but prefers rich organic soils. Wild ginger spreads slowly to form colonies. Plant these about a foot apart and they will form a solid ground cover in two or three years. These will not grow in sun. The kidney shaped leaves are a soft-green and often cover the flowers, which are brownish and bell shaped. Senecio obovatus (Squaw-weed): I love this woodland native because it looks good all year long. The rounded dark green foliage is semi-evergreen. It is a weaver as it spreads to fill voids in a shaded or part shade situation. 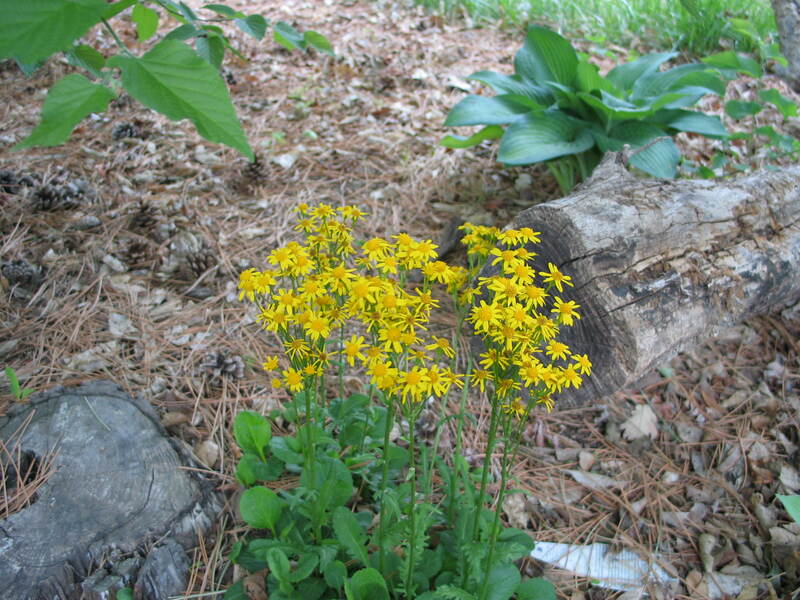 The yellow flowers brighten the shade garden in the spring. 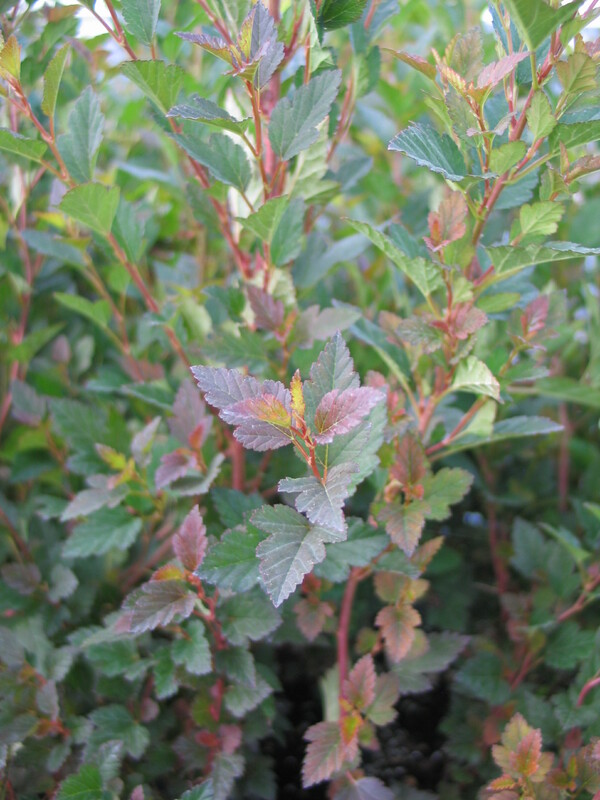 Alternatives for Barberry – Berberis spp. Physocarpus opulifolius ‘Little Devil’ or ‘Tiny Wine’ (Ninebark): We have been growing Ninebark here at the arboretum for many years with great success. It is quite adaptable and many of the new cultivated varieties have beautiful reddish purple foliage and whitish-pink blooms in the spring. These two new forms (Little Devil and Tiny Wine) just come in a smaller size. They ultimately get only three to four feet tall. They have the same ornamental characteristics and tough demeanor as the larger varieties. They grow best in average soil with full to part sun. Good things do come in small packages. Ceanothus americanus (New Jersey Tea): If this native shrub can flourish in the prairie, imagine what it will do in your landscape. This compact native shrub has glossy green leaves. The showy white clusters are held at the end of the branches in May and June. 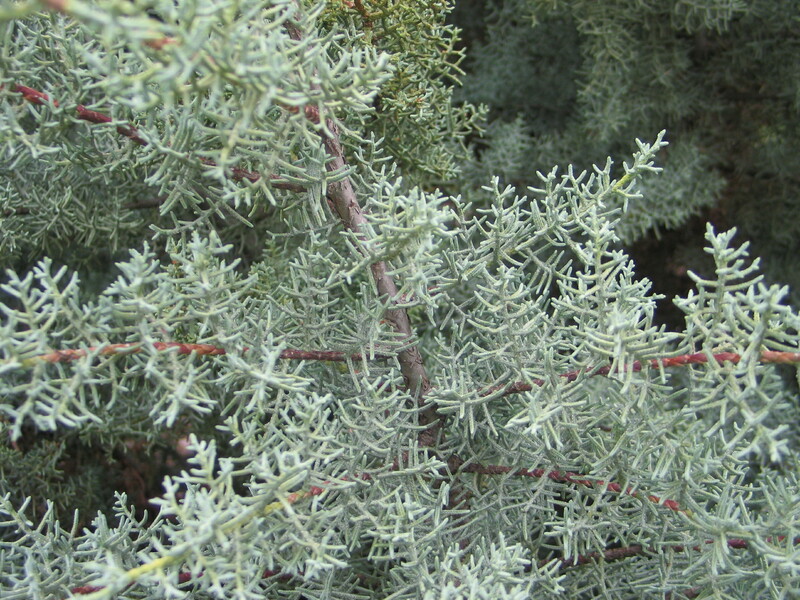 It develops a rounded habit (3-4 feet tall) if given room to spread its branches. The small dark fruit clusters are attractive later in the season. Panicum virgatum ‘Cheyenne Sky’ (Switchgrass): This native grass forms a dense upright bundle, finally maturing to three feet tall. Red leaves form early in the season and hold fast through the fall. The entire plant turns shades of yellow and orange in the fall. I love grasses in the fall and winter because they provide movement in the garden as the gentlest breeze sets the whole plant in motion. It thrives in full sun and adapts to a wide range of soils, including clay. Alternatives to Maiden Grass – Miscanthus spp. Tripsacum dactyloides (Eastern Gama Grass): We have many clumps of this native grass in the arboretum. The arching stalks arise from a large base of narrow, gray-green leaves. The interesting flower spikes add another focal point atop the stems from May through September. 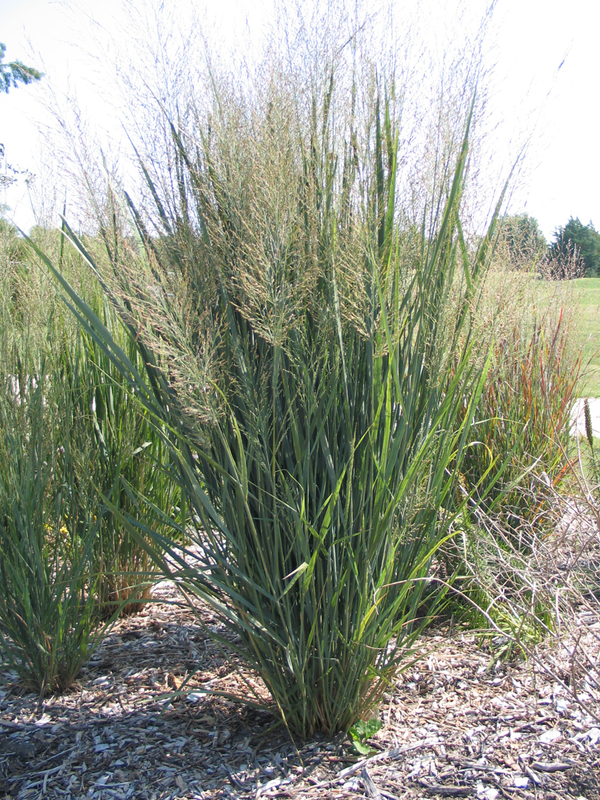 Panicum virgatum (Switch Grass): This clump-forming native grass can range in size from three feet on up to 8 feet tall. The medium green leaves ultimately change to yellows, oranges and eventually fading to tan through the winter. The finely-textured seed heads are open and airy. They make great screens and produce a nice backdrop for other perennials. ‘Northwind’ and ‘Dallas Blues’ are exceptional cultivars for the home landscape. 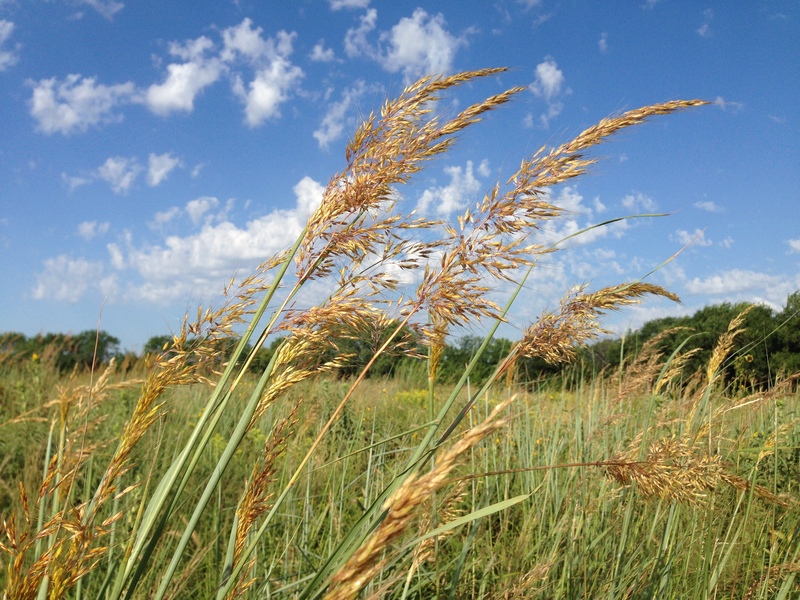 Sorghastrum nutans (Indiangrass): Indian grass matures into a vase shape that is up to six feet tall and three feet wide. The tannish plumes atop the sturdy stems appear in late summer. It prefers a medium to dry soil with full sun for best growth. We will follow up these alternatives with some other choices for non-natives in the coming weeks. It is good to know that there are substitutes for many traditional landscape plants. Keep in mind that whatever is planted has consequences, both negative and positive. By choosing natives, the positives far outweigh the negatives.